I’m a big fan of anything that can help save time in the morning when the family is rushing off to work and school…. especially when the time saver is delicious! 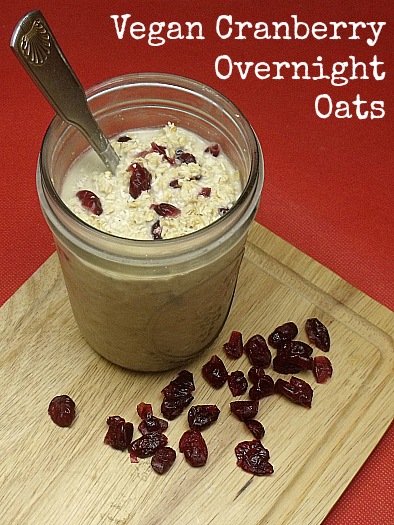 Overnight Oats are really easy to make and have good nutrition built in to help fuel a busy day. 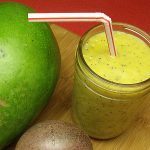 It only takes a moment to prepare them and they they are ready to enjoy in the morning. 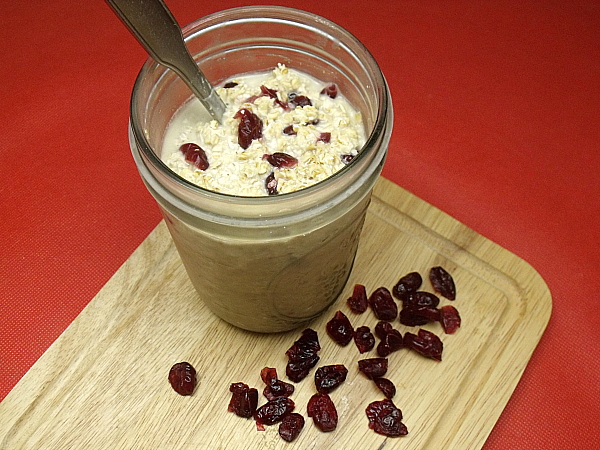 The oatmeal, cranberries and milk alternative are a good energy boost. 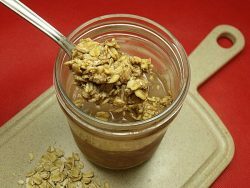 The recipe makes 1 pint, which is a hefty serving for an adult or teen. 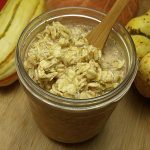 You can easily split it between two 1/2 pint jars for a smaller serving or simply cut the recipe in half for a child (or adult with a smaller appetite). 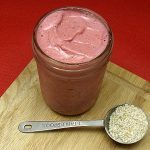 Put all ingredients in a wide mouth pint mason jar and stir.